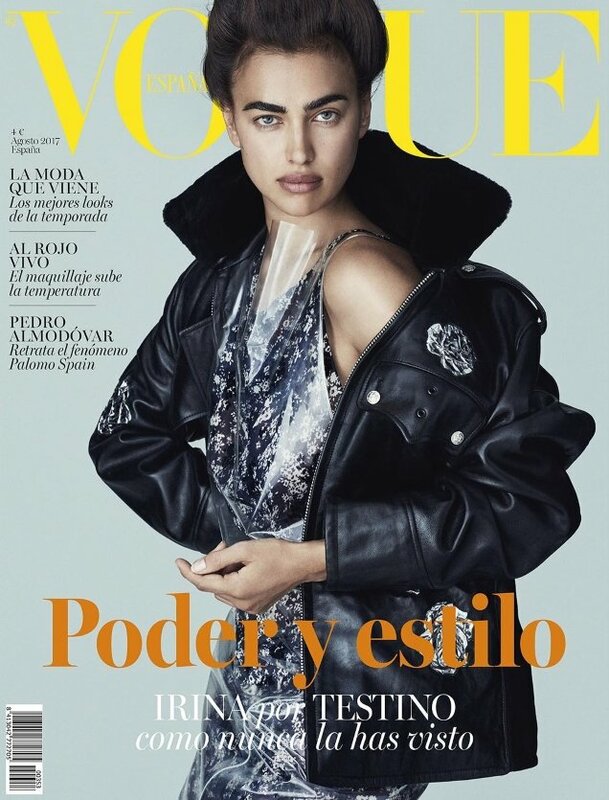 Vogue Spain’s newly installed EIC, Eugenia de la Torriente, means business when it comes to cover stars, having recently given us the likes of Grace Elizabeth, Jessica Chastain and forum favorite Imaan Hammam. For August 2017, the Spanish fashion bible has secured the (usually) photogenic Irina Shayk. The current face of Blumarine makes a comeback to Vogue Spain‘s front cover, wearing a look from Raf Simons’ first Calvin Klein collection in the image shot by Mario Testino. Members of our forums simply weren’t sold on Irina’s latest. “The layout, the mood, the photo just reminds me of Vogue Korea,” stated an unimpressed MON at once. “It reminds me of Vogue Korea too,” echoed KateTheGreatest in agreement. “She looks awful, I’m not a fan but she looks better in some selfies. The styling is weird too!” she added. “Awful styling and layout, it actually distracts from her which is never good when you book a Vogue cover. And I certainly don’t get her expression. Would never have thought this was shot by Testino purely by looking at it,” pointed out Benn98. “It’s just wrong. All of this – poor Irina!” exclaimed narcyza. Await more from Irina’s cover story and add your own two cents here.